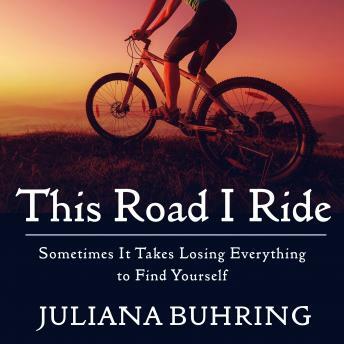 Juliana Buhring had been mired in depression after the death of a man she loved, and when an acquaintance suggested they honor his memory by biking across Canada, she thought, "Canada? Why not the world?" And why not alone? She had never seriously ridden a bicycle before. She had no athletic experience or corporate sponsorship, but with just eight months of preparation, Juliana departed from Naples, Italy, aiming to become the first woman to circumnavigate the globe. She set out believing she might not ever return, but she had nothing to lose. Over 152 days, Juliana's ride spanned four continents and 18,060 miles. She suffered innumerable breakdowns, severe food poisoning, hostile pursuers, and the international longing for a good Italian espresso. When she crossed the finish line into Naples before the end of the year, she officially became the fastest woman to cycle the world (beating prior men's records, to boot). Accomplishing what she never thought she could, buoyed by the outpouring of support from friends and strangers, Juliana rediscovered herself. In the process she proved that there are no extraordinary people?only people who decide to do extraordinary things.